We grew our activities across Germany a lot during 2015 - 2018. The number of shipments within the territory of Germany increased by 107%. According to our data source: DONE! 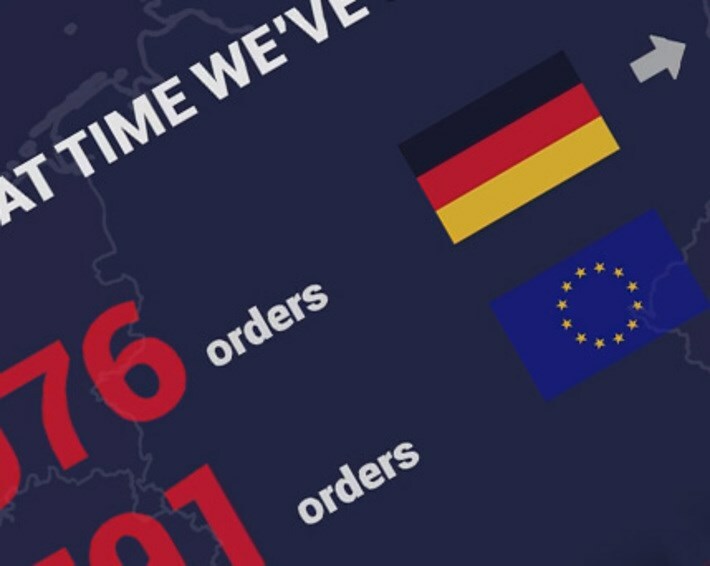 Deliveries Data Base & Orders System between 2015 and 2018 deliveries from EU to Germany added up to 6591 and from Germany to EU – 5076. Below you can find a few facts on our actual data regarding both directions: Germany - EU and EU – Germany. New routes opened and operated in 2018: EU to Germany - 2122 shipments and Germany to EU – 1677 connections. Numbers don’t lie – during a/m years our shipment count grew 123% reaching 4081 dispatched and unloaded shipments to Germany only from January 1 until October 31, 2018. According to Forbes* data, Poland is the seventh largest business partner of Germany. Done adds their own brick to that partnership by constant development of our supply chain and solution basket supporting all needs of our customers. Despite all market changes we continue to seek and find solutions and transportation capabilities which guarantee meeting both contracted fees and business flow. 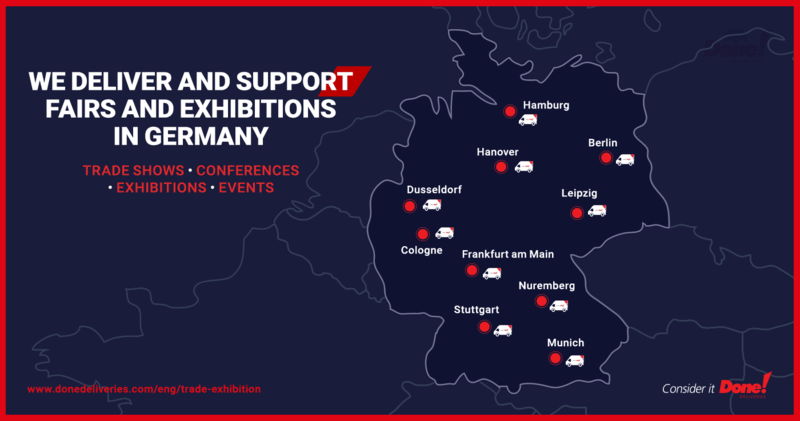 We also specialize in shipping and supporting organization of fairs and exhibitions in Dusseldorf, Berlin, Munich, Koln, Stuttgart, Nuremberg, Hamburg, Leipzig, Frankfurt and Hannover. We are ready to continue our growth of cooperation and services across Germany.